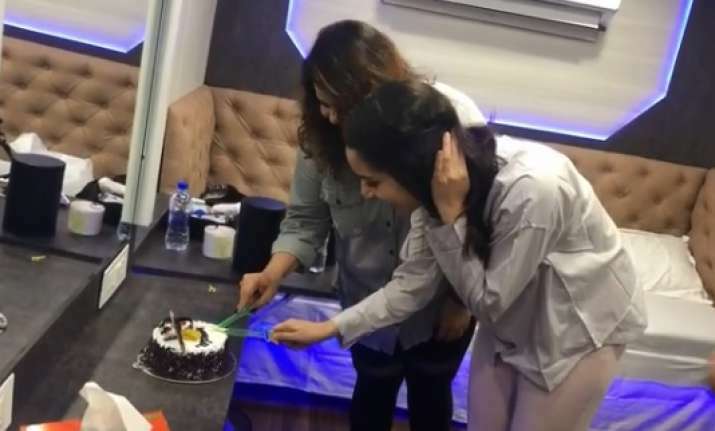 Shraddha Kapoor also wrote a thanking note to Saaho team for this pleasant surprise. Shraddha Kapoor has finally got her much-awaited hit, Stree. After a series of flops such as Rock On 2, Ok Jaanu and Haseena Parkar, Stree has emerged to be the saviour for the actress. Starring Rajkummar Rao and Pankaj Tripathi, the movie helmed by Amar Kaushik is a horror comedy with a right dose of spook and humour. Shraddha is preparing for Saina Nehwal's biopic and also her forthcoming movie Batti Gul Meter Chalu is slated to release in September. Seems like Shraddha will be spending most of her time on the sets of her films and will be entertaining us with myriad characters. In Stree, Shraddha plays the role of a mysterious girl, who adds to the eerie tone of the film, whereas Rajkummar Rao plays the role of a tailor, Vicky.